Geography: North West, Cheshire. Part of the Cheshire West and Chester council area and part of the Cheshire East council area. Main population centres: Winsford, Malpas, Tarporley, Kelsall, Audlem. Profile: A large rural seat in the south west of Cheshire. The main settlement is the salt mining town of Winsford that expanded after the war due to overspill development. The comparatively gritty Winsford is, however, wholly uncharacteristic of the rest of the seat, most of the area is made up of much smaller and more affluent rural villages (there is no actual town of Eddisbury - the seat is named after an ancient hundred of Cheshire). Politics: While there is Labour support in Winsford, it is easily outweighed by the rest of the constituency making this a safe Conservative seat, although it was held only narrowly at the nadir of Conservative fortunes in 1997 and in the 1999 by-election that followed Alistair Goodlad`s appointment as High Commissioner to Australia (the rather unusual appointment of an opposition MP to a high profile diplomatic post was a something of a consolation prize after William Hague nominated Goodlad to be the Conservative party`s EU Commissioner but saw Tony Blair appoint Chris Patten instead). ANTOINETTE SANDBACH (Conservative) Educated at Nottingham University. Barrister. Contested Delyn 2010. North Wales Assembly member since 2011. First elected as MP for Eddisbury in 2015. ANTOINETTE SANDBACH (Conservative) Educated at Nottingham University. Barrister. Contested Delyn 2010. North Wales Assembly member since 2011. IAN PRIESTNER (Liberal Democrat) Born Cheshire. Educated at Keele University. Partner in a sustainable energy company. ANDREW GARMAN (Green) Semi-retired scientist. Chester councillor 2006-2009 for the Liberal Democrats. Tory hold 10,500 majority. Labour 2nd (agree nearly all the Labour support comes from Winsford). UKIP a relatively good 3rd on 15-17% or so. Has the new MP found a little cottage in the constituency yet? A useless fact is that the new MP here is apparently 6 feet 5 inches tall. So, in reply to Dinbych Dai, a cottage may not be big enough. A 6’5 female? Blimey. She must be in the top 0.00001% or something stupid for women re: height. Without wishing to sound patronising, I do have some sympathy for exceptionally tall women; whilst it’s an undoubted social advantage for men, for women it seems not to be. Presumably she was selected because of her name….although Sandbach is just over the boundary in Congleton. I’m 6ft2. It’s generally an advantage for your love life and also your career, but there are many down sides too….sitting in aeroplanes & small cars for example. Also tall people tend to get back problems in later life. That’s true. I think if you’re a man the most comfortable height for doing such things easily as sitting in aeroplanes and small cars would probably be about 5ft8-9, but people are getting taller these days so one day even that kind of height will cease to be the average for men in this country I think. I honestly don’t know how our friend Joe Broughton feels LOL! And if I had to choose, I would definitely rather stay as tall as I am any day as it feels like a part of my identity and who I am, also my frame isn’t that big- I’m quite slight to tell the truth. In my family men are slightly shorter than average but women seem to be a bit taller than average, so there isn’t much of a gap between the men and women. I always find it a bit weird to see a couple where the man is about a foot taller than the woman. Same here. Although it’s not the most major of issues in a relationship, I think if I had a girlfriend she probably couldn’t be any smaller than about 5ft2 because otherwise it would just look a bit awkward. Given I’m near enough 6ft myself I’m quite lucky really in that I’m taller than the majority of women I encounter. If you’re just that little bit taller it’s incredible the amount of men who are able to have a relationship with taller women (i.e. 5ft8+). Sandbach was very poor on the Westminster Hour. When challenged by Norman Lamb about cuts to tax credits she said the increase in the personal allowance will compensate for this. It won’t stop her winning again but I predict this will hurt the Tories. When people see their payslip in April they’ll know this is rubbish, and they’ll be a backlash against the Tories. You can’t take £1000 a year off 3 million low paid people without taking a hit in the polls. They don’t care about the polls 5 years out from 2020. The Tories are assured of winning in 2020 so will use the early years of this parliament to push though some radical stuff which they’ve always wanted to do, taking advantage of Labour’s disarray. After they’ve been reelected, presuming Labour return to being a more formidable opposition, the Tories can return to a more cuddly one-nation approach. That’s totally complacent. We shall see though! Maybe Corbyn can get some non-voters to the polls. There’s anecdotal evidence that he can. Also people will be put in severe financial distress because of these cuts. I doubt they’ll forget that in a hurry! BigD. I agree with you about Corbyn. However, he will also make many on the right, and even from the centre ground, more determined to go out and vote against Labour. Could I comment while I am here thatt this seat is becoming more Conservative in comparative terms. My recollection is that in 1997 this was the most marginal (i.e. not very marginal) seat on the Tory list to be retained by them. On the 2015 figures, Labour would require a 13.7% swing to win here, which doesn’t seem very likely even on a repeat of 1997. Belatedly correcting my earlier post, I am in fact 6ft tall- I hadn’t stopped growing the last time I was measured which was nearly a year ago. They might not forget it in a hurry but that doesn’t mean they’ll be voting for Jeremy Corbyn. Labour should have learned the lesson from the last election that the majority of the voting electorate do not receive any benefits or tax credits (pensions excluded) and they need to address this mass of voters as well as obsessing about the smaller number who are damaged by this benefit cut and that benefit cut. Under Corbyn that won’t happen however. The fact I think is that Corbyn can probably really massively fire up Labour leaning voters in many cases, and his voting coalition will have maybe as much as 28% of the electorate locked down totally solidly, with another few percent voting more reluctantly or tactically. But with the Tories sitting in the high thirties or low forties, that’s simply not enough – Corbyn badly needs the Liberals and UKIP to be eating into Cameron’s votes, and both of them are looking quite weak on that front currently. I’m apparently the shorty of the group here at just 5 foot 6. Things aren’t too bad down here, but then I’m not sure how much socialising difficulty I have is due to height or just that I’m painfully shy. On your first paragraph I generally agree, though there’s a risk that the WWC portion of the 28% get upset with Corbyn on foreign policy / IRA / terrorism matters despite agreeing with him on economics, and flake off to UKIP or perhaps the Lib Dems. I think Farron is much more likely to appeal to social democrat Labour voters than to soft Tories and therefore your overall conclusion is valid. Height wise I often wish I was a bit shorter as I seem to spend half my life on aeroplanes at the moment. Some time ago, I recollect reading a book on “The Employment Interviews”, by Eder if I recollect rightly, whivh stated that if two men are interviewed for a job, About 70% of the time the job is offered to the taller man. Yet heightism is taken as a joke. I even remember a television show by Smith and Jones in which heightism was parodied as a case of anti-discrimination law taken too far. Short men have long laughed off their disadvantage, and many people may correspondingly regard this post as silly. But it is a serious issue that needs to be addressed, along with issues about the effects of looks on women’s employmetn chances. P.S. Just for instance, what percentage of the time does the taller of the Party leaders win a General Election? And what height are Corbyn abd Farron? I think Corbyn can get more than 28%. I think he’ll pick up seats in Scotland. Also Citi banks latest best guess on the global economy is for a recession in 2017-18. That doesn’t give the Tories much time to turn it around, and it’ll be particularly difficult for them if Osborne is PM given he was Chancellor when the economy tanked! You could be right, though a downturn may well make Joe Public even more reluctant to risk a dose of Corbynism. Clearly the Tories will be going easy on Corbyn early on in the hope that Labour don’t replace him, in the last year or so before the election the barrage will then be unleashed. Unless there is a coronation, the huge new membership will probably ensure that Corbyn’s replacement is also from the left. If there is another Labour leadership election before 2020, you can bet your bottom dollar that the Parliamentary Labour Party will not give a hard-left candidate the nominatins from 15% of MPs necessary to get on the ballot paper. This would cause outrage amongst the large number of very liefr-wing people who have recently joined Labour. The only way out of this that I can see is for the Labour establishment to nominate only a single candidate towards the left of the party. I would have thought Hilary Benn the best candidate for this role. I find it difficult to see Labour’s leadership changin before 202 though. Not least, I don’t see somebody like Corbyn, who has been prepared to wait on the backbenches for 32 years, being pushed. Don’t underestimate Corbyn’s toughness in a political fight. The problem for Labour is that some places will be safer than ever in the next election (Mitcham and Morden, Croydon North, Edmonton, Ealing North, Ilford North) due to the demographics, their gonna build huge majorities in those seats. Even in the next London elections they need to start getting seats back in areas like St Helier (Sutton) and the Cray Valley wards though their is some demographic change it’s still very WWC and unlikely to vote for Corbyn plus the Lib Dems will throw the bucket at the wards in North Carshalton as they also have popular and lone London Lib Dem Tom Brake as an MP who will be on the campaign trial there as they are probably guaranteed to lose some wards to the Cons in Sutton and Cheam and there isn’t any Labour vote to squeeze in that area. You’d have to imagine that, if Corbyn did go before the next election, someone who is on the left of the party but just close enough to the mainstream that they could round up 35 nominations will be running. With the current electoral rules, they’d be mad not to. Simon, the problem is that Labour’s “hard Left” take a line that you either tow their clique’s Agenda, as set in pre-Labour meeting caucuses, all the way down the line or you are betraying the cause. It puts the backs up people who would like to think of themselves as towards the left of the party but have a mind of their (our) own. Many of us left the Labour Party years ago largely as a result of this. The hard left would rather lose than compromise on their position. They are, or have been, prepared to wait many years for the day when all the other parties and the rest of the Labour Party are in such a state that they are the only ones left standing. Once they have got in they will not let go, and they are less than populist or indeed democratic. They are very dangerous people and IMO must not be given an inch (as stupid Labour MPs did after the General Election). Hilary Benn is in the unique situation that his position is far more sensible than that of the hard left but that he could hold them off on the back of his family name. Surrey Politics, your thinking is London-centric. 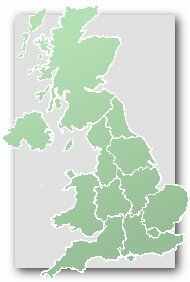 If the United Kingdom consisted entirely of London Labour would win easily (come to think of it, why don’t we provincials throw London out so that they leave us alone?!) In fact, Labour cannot win unless they gain a substantial number of seats outside London; but the hard left (see above) are so intolerant and uncaring that they won’t adapt their policies to encompass Middle England.